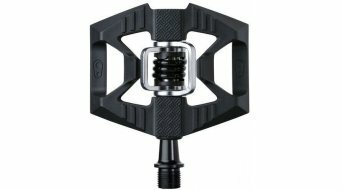 Clipless pedals are the joints between the mountain biker and his bicycle. 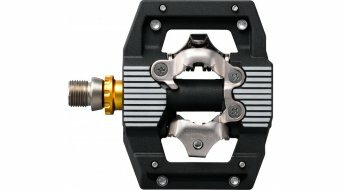 The pull on the pedals, the so-called "circular action", is the most frequent reason for clipless pedals. 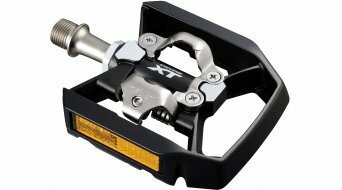 This technique, with its rotational push and pull on the pedal, is especially advantageous during sprints. 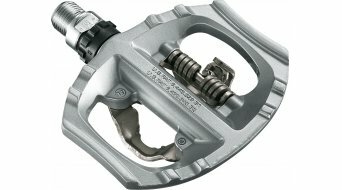 (However, according to sports scientists, this myth has been pushed too high.) 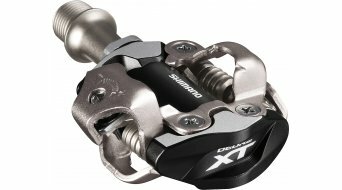 Nevertheless, clipless pedals and cleats provide a firm foothold. 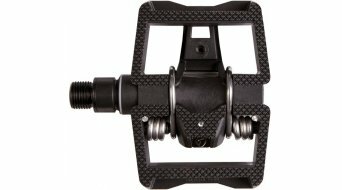 Here, it is important to assure precise adjustment so that you are provided with a comfortable and optimal hold once the position is set. 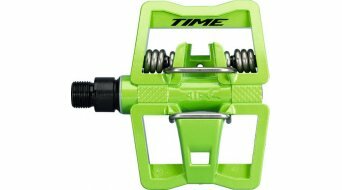 If the angle of your stand is not correctly adjusted, you may suffer from knee pains after each trip. 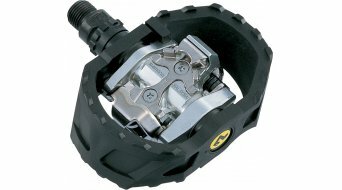 Especially in rough terrain, you will profit from the strong hold to your MTB and your feet are not going to slip off the pedals. 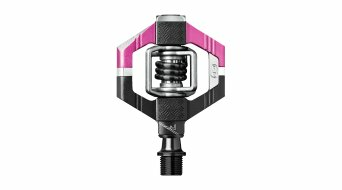 Usually, this is exactly the obstacle beginners have to overcome. 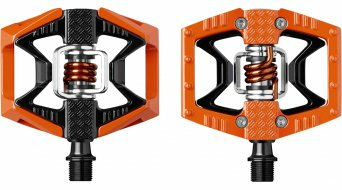 A little bit of patience and exercise are needed until you feel really comfortable in every terrain with clip-ins. 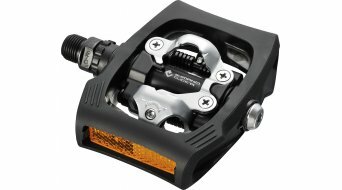 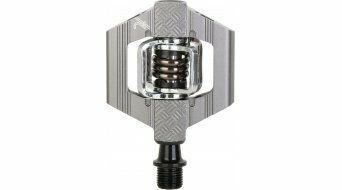 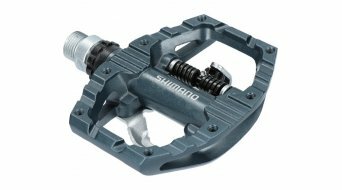 It helps that the release grade of most clipless pedals can be adjusted according to the cyclist's personal preference. 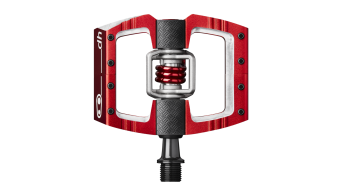 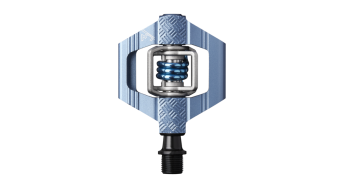 Not only clipless pedal-newbies, but also allmountain cyclists like the AM clipless pedals with an extra large platform that provide a good stand on the wide pedal even when they are not clipped into place. 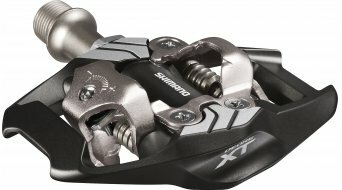 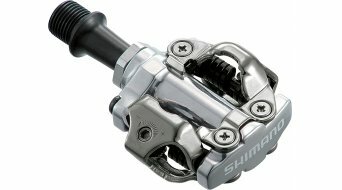 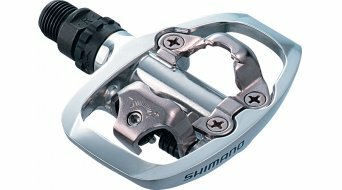 Surely, most clipless pedals on the market are made by Shimano, being called SPD (Shimano Pedaling Dynamics). 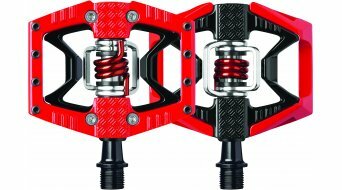 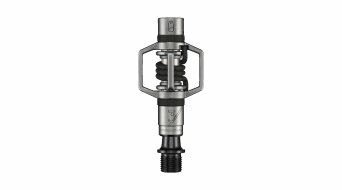 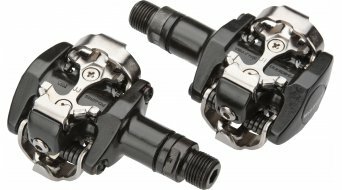 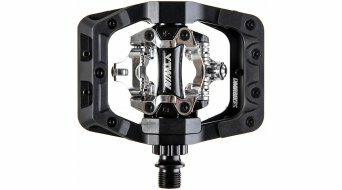 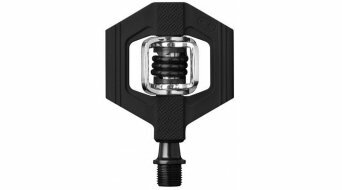 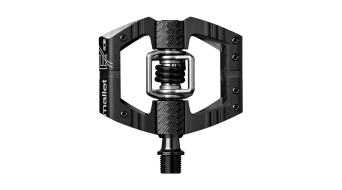 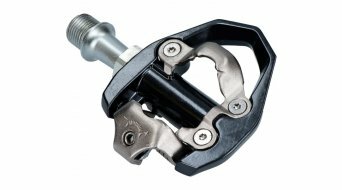 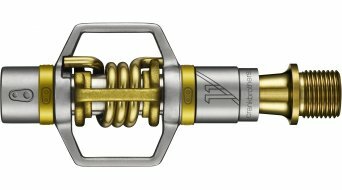 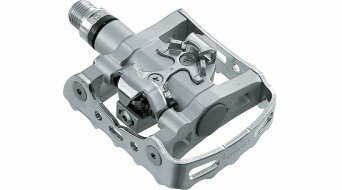 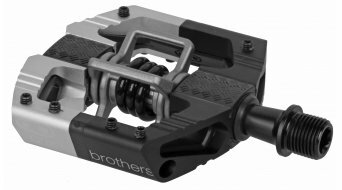 Further clipless pedal systems are offered by Ritchey, Mavic, Time or the Crankbrothers Eggbeater pedals (the name refers to the shape of the spring wire brackets). 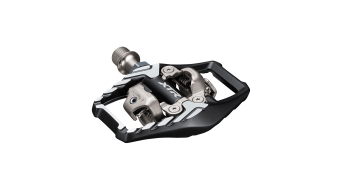 For a flawless performance, we usually recommend to choose clipless pedals that match the manufacturers' cleats and not to mix, even when they are said to be compatible. 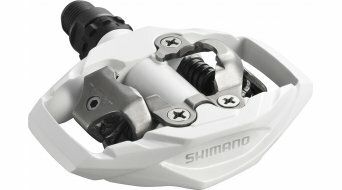 We can offer you simple MTB clipless pedals starting from 60 Euro or lightweight pedals for up to 200 Euro. 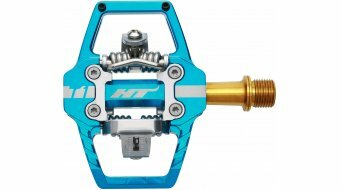 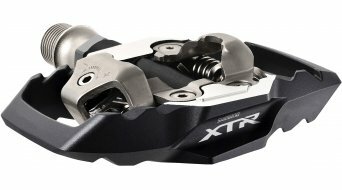 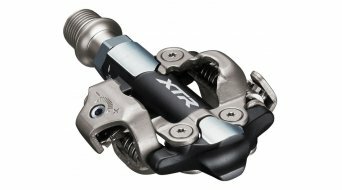 Explore our selection in the MTB clipless pedal shop.